FRANKFURT –- Volkswagen Group increased vehicle sales by 15.1 percent to 642,300 in February, but the automaker said the ongoing uncertainty in global car markets remained a matter for concern. ''We will remain vigilant over the coming months in spite of this clear upward trend and are keeping a very close eye on the markets, especially in western Europe," Christian Klingler, the group's head of sales, said in a statement on Friday. The group's two-month retail sales rose to 1.29 million, up 7.7 percent, with the VW brand, Audi and Skoda leading the way, helped by deliveries in expanding markets including China, central and eastern Europe and by a significant rise in U.S. sales. Sales in China, the group's single largest market, rose 13.4 percent to 350,600 units in the first two months. This was in stark contrast to western Europe, where demand remains weak as economic problems continue to plague the region. Here, sales fell by 7 percent to 281,200 units in January and February. In central and eastern Europe, sales rose in the same period by 34.2 percent to 89,200. In Germany, VW's biggest single European market, sales rose just 3.2 percent to 162,300 in January and February. But with a slowdown in Europe's largest economy, VW may have to face tougher times ahead in its home market, where roughly every third car wears a badge from the VW Group. Demand for the group's vehicles continued to remain strong in the United States, where sales rose 36.5 percent to 76,000 units in the first two months. The company's core VW brand continued to lead volume sales, increasing deliveries by 8.8 percent to 818,800, while Audi sales grew 8.5 percent to 202,700 in the first two months. Skoda sales were up 11.6 percent to 147,500, but Seat deliveries were down 12.2 percent to 44,800, as the brand was particularly hard hit by shrinking markets in western Europe. Despite a drop in European sales, the group's two-month growth puts VW in a strong position to challenge General Motors and Toyota for the position of No. 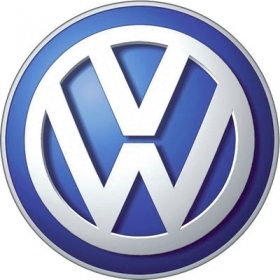 1 global automaker, a goal VW aims to achieve by the end of the decade.